Was Hadrian’s Wall awash with cider? Now, be honest: you’re thinking that I am positively potty, aren’t you? Everybody knows cider was introduced into Britain by the Normans, and that beforehand there was beer (the famed cervesa of the Vindolanda Tablets); imported (and natively grown) wine, of course; and possibly some mead too. But Roman cider? You’ve got to be joking! I must declare an interest, here. 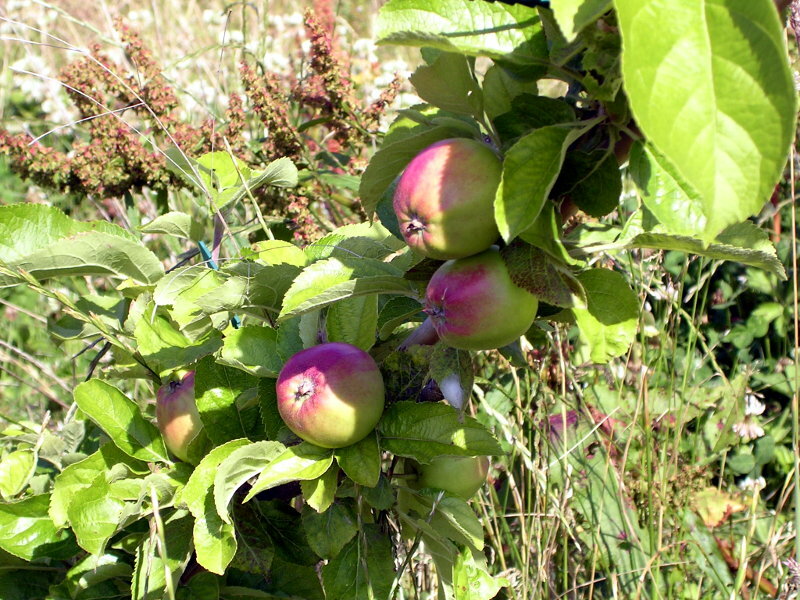 When I lived in the Scottish Borders, I had a small (very small: on espaliered dwarf root stock) orchard and I grew my own apples in order to make cider (or cyder, since it only contained apples, with none of the chemical hotch-potch some producers add). Boosted by windfalls from neighbours (who, as a cider-maker, I rapidly learned soon tire of endless apple pies) and with a little added piquancy (and, importantly, tannin) from wild, hedgerow crab apples down by the old airfield (the one where Wojtek the bear used to live), I made passable cider. I once even managed to secure a few kilos of Kingston Black (a god amongst cider apple varieties): small, ugly, tannin-laden fruits that had a sort of tardis trick with the amount of rich, red juice they produced. That juice turned into a cider to die for. However, I digress – you get the picture: I have an interest in cider, in more ways than one. Anyway, my quest for Roman cider in Northern Britain started out with light-hearted intent, sparked tangentially by a item on a television news programme, but serious evidential questions lie at the root of all this flippant alcoholic speculation, as will hopefully become apparent. Why might there have been cider on Hadrian’s Wall? Because the most important ingredient necessary for the presence of cider was there. No, not apples (don’t be silly, that much is obvious); I mean cider-lovers. 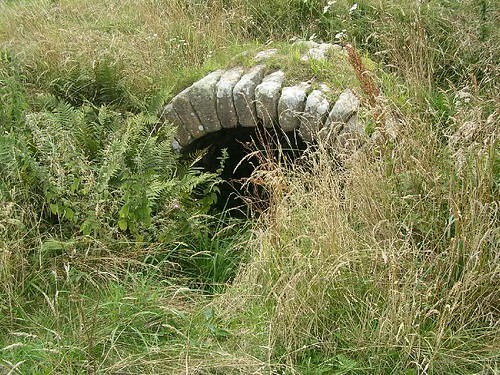 Useful cellarage at Great Chesters? The auxiliary units based in Britain were drawn from all over the Empire except, as was policy, from Britain itself. The infantry cohorts, cavalry alae, and part-mounted cohorts came from a variety of peoples, and the mounted components in Britain contained a high proportion of Gallic and Spanish units. In fact, along Hadrian’s Wall, there were Asturian alae at Benwell (I Hispanorum Asturum) and Chesters (II Asturum), and an Asturian part-mounted cohort (cohors II Asturum) at Great Chesters. It has even been suggested that the Roman name of Chesters – Cilurnum – was derived from the Asturians’ home region, rather than an existing local placename. 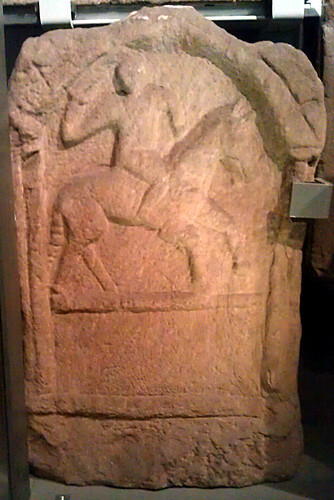 To these might be added the cohors I fida Vardullorum, a double-strength, part-mounted unit that pops up at Castlecary on the Antonine Wall, at Corbridge, Lanchester, Cappuck (possibly), and finally at the Hadrian’s Wall outpost fort of High Rochester in the 3rd century. The Vardulli came from the Aquitanian Basque region around modern Gipuzkoa, where there is still a tradition of cider production and consumption. We can be less certain where the cohors II Vasconum were deployed (they only show up on diplomas, not inscriptions), but the Vascones were neighbours of the Vardulli in northern Spain, so I think we might suspect them too of a fondness for the fermented apple. And so to the news item. Amidst disturbing coverage of the proposed new anti-abortion law in Spain, Channel 4 News went to Asturias, where a group of women were singing protest songs against the new bill whilst drinking their favourite tipple: their local sidra. Now I’ve sampled Spanish cider and, like German Apfelwein, it can hold its own against British ciders and, at its best, give our finest a run for their money (perhaps just being pipped at the post; I couldn’t resist that…). I even have a friend from the north of Spain whose family had been growing cider apples since way back into the apple-blossomed mists of time. I nosed through a few of my history-of-cider books, most of which are more folklorish than factual (as is so much ‘popular history’; we ancient historians are rather fastidious about what we require as evidence), but all of which agreed on the antiquity of the Asturian love of cider, pre-dating even the Romans. A little bit of research on the web sort of confirmed that rather fuzzy view (the web is so good at sort-of-confirming vague things in a non-specific, word-of-mouthish way), but did not provide hard-and-fast evidence (I need citations, not guff). Then I hit pay dirt (rather appropriate, in an archaeological sort of way). An Asturian dreaming of his cider? For we do indeed have some literary evidence: Pliny the Elder (after whom, I discovered, a beer is named, but that is irrelevant) comes to our aid, specifically NH XIV.19. He tells us how both apples and pears could make an alcoholic drink (cider and perry respectively, although whether true perry pears were known is another matter). Strabo (IV.3.7) describes how the mountain Spaniards (which included the Cantabrians and Asturians) drank zytho and it has been argued that this is linked to the Greek Σίχερα, Latin sicera, and thus ultimately sidra. It should be noted that sicera, with the sense of a non-specific intoxicating drink, is claimed by various other modern beverages, not just cider! Thus it seems that some form of cider was at least known from Roman literary sources. What about archaeology? That’s harder. You see, apples are entimophilous, which means you need insects to pollinate them and that means they do not contribute to the pollen rain: that’s the stuff that drops out of the sky, possibly giving you hay-fever in passing, but which almost exclusively derives from wind-pollinated plants. That in turn means that you can look as hard as you like through all the peat cores and pollen samples taken along Hadrian’s Wall (and there’s quite a few now), but apples just will not show up unless a tree was right next to the coring site. They are, as someone once said, A Known Unknown. So can environmental archaeology help us at all? Luckily it can. Apple pips could theoretically survive through waterlogging (as at sites like Vindolanda or Carlisle) and by carbonisation (where they are accidentally burned and turned to charcoal). Find apple pips and you have apple consumption. 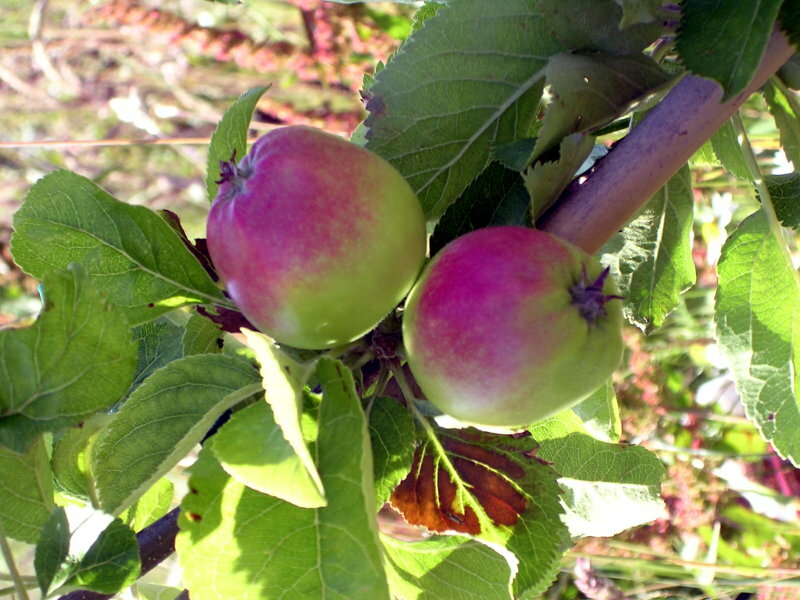 Crab apples are neither edible nor a good source of cider by themselves, so pips from a Roman site ought to be cultivars grown for consumption in one way or another. Unfortunately, environmental archaeology has only really taken off after Benwell, Chesters, and Great Chesters were excavated, so any hope of proving apple consumption at those sites is forlorn. We may be able to use comparative data from other neighbouring sites, however. Excavations at Vindolanda and Carlisle have already been mentioned as possible sources of waterlogged material and Carlisle (Howard-Davis 2009, 524) has produced evidence for the consumption of both apples and pears. The sub-literary evidence provides some interesting confirmation. 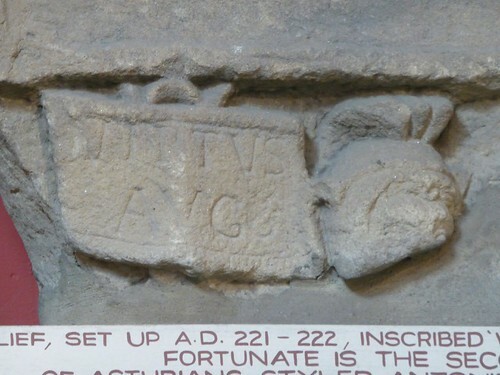 Vindolanda Tablet 302 includes a request for ‘a hundred apples, if you can find nice ones’ in the same sentence as other foodstuffs, like beans, chickens, and eggs. The editors suggest this concerns the acquisition of food for the commanding officer’s house, so these would perhaps be more likely to be dessert apples, rather than intended for cider making, but it makes the point: apples were readily available for that fort, even if not necessarily grown there, and in relative bulk. This entry was posted in extra and tagged apples, Asturians, Benwell, Carlisle, Chesters, cider, Great Chesters, Hadrian's Wall, Vindolanda by Mike Bishop. Bookmark the permalink.